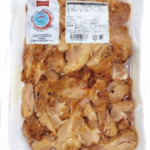 Name of booth: Baharu Co., Ltd.
Sunflower Oil, Olive Oil, Cheese manufactured in Turkey, processed food products in America, Canada, South Africa etc., processed meat for Kebab, Kofta etc., and import and wholesale sales of agricultural products. You can sample halal food products. Feature: You can easily enjoy the taste of doner kebab like in shops and restaurants. You can heat it up with a frypan or microwave oven and serve it with bread, or serve it on top of rice as a dish. You can use it to prepare not just for home dinners, but also for party and restaurant menus. 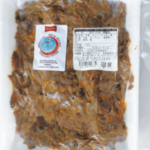 Feature: You can easily enjoy the taste of doner kebab like in shops and restaurants. You can heat it up with a frypan or microwave oven and serve it with bread, or serve it on top rice as a dish. You can use it to prepare not just for home dinners, but also for party and restaurant menus. 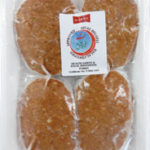 Feature: The Kofta has spice added into minced meat and made into the shape of mini hamburger patties, so you can enjoy an exquisite taste with the combination of beef and mutton. You can prepare it easily by frying it with a frypan. It is also a suitable size for hamburger and lunchbox side dishes. ← Yotsuba Milk Product Co., Ltd.